This hand-written letter by President John F. Kennedy fetched $88,970 at auction. Clearly, there’s still interest in all things Kennedy. 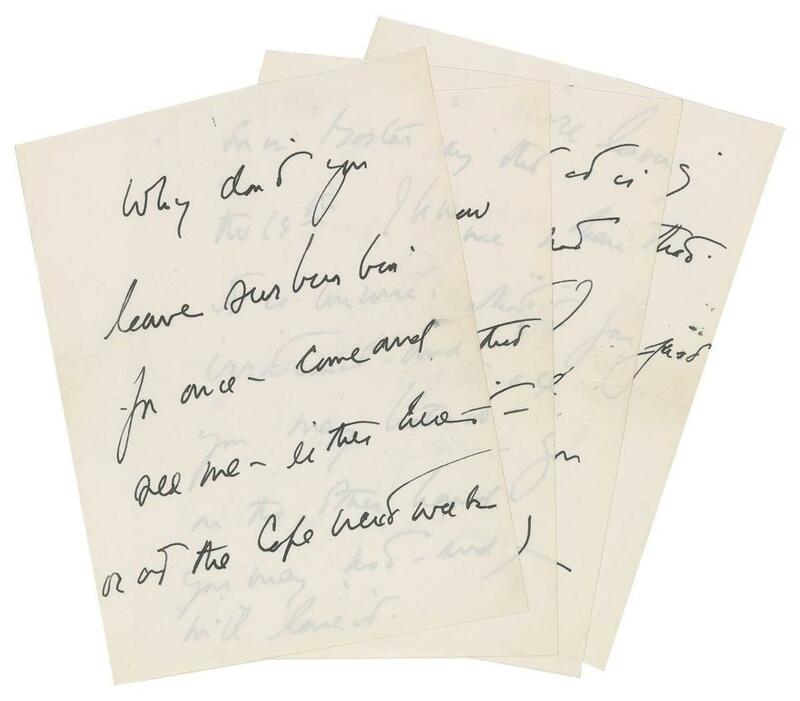 A four-page love letter written by President John F. Kennedy to one of his alleged mistresses fetched $88,970 at auction. Boston-based RR Auction, which handled Thursday night’s sale, would not reveal the buyer’s identity, saying they wish to remain anonymous. The letter, penned just a few weeks before Kennedy’s assassination in 1963, was written to Mary Pinchot Meyer, a friend of the Kennedy family and the former wife of a CIA agent. “Why don’t you leave suburbia for once — come and see me — either here — or at the Cape next week or in Boston the 19th. I know it is unwise, irrational, and that you may hate it — on the other hand you may not — and I will love it,” Kennedy wrote. The letter was not sent and remained in the collection of Kennedy’s personal secretary, Evelyn Lincoln. The faded presidential seal watermarks are visible on the stationery. Meyer died in 1964 under mysterious circumstances. Other Kennedy-related items sold at this week’s auction include a rocking chair used by JFK, which went for $74,938, a photo of JFK and John F. Kennedy Jr. that hung at the White House, which sold for $18,375, and a photo album commemorating President Kennedy’s 45th birthday celebration at Madison Square Garden in 1962. The album, whose 23 glossy candids include a few of Marilyn Monroetaken just before her famously seductive rendition of “Happy Birthday,” sold for $9,334. A four-page handwritten letter to one of John F. Kennedy’s alleged mistresses is among the items being auctioned this month.